For most of Jewish history, the primary qualification for this title was sufficient learning to render decisions in Jewish law. While one generally must be a rabbi to sit on a beit din, a panel that adjudicates Jewish legal disputes and that is present at a conversion, rabbis are not strictly required at other Jewish events. While civil laws may require specific training or certification for weddings and circumcisions, nothing in Jewish tradition prevents lay people from officiating at weddings, leading prayer services or performing other rituals. In the earliest stages of Jewish history, the ability to rule in matters of Jewish law was handed down orally from teacher to student in an unbroken lineage going back to Moses. Only in the early modern era did rabbis receive formal ordination from academies of advanced Torah study and begin to carry out a wider range of communal functions, including issuing guidance in daily ritual practice, overseeing synagogue services, preaching and serving as the spiritual leader of a community. Today, the rabbinic portfolio is wider still. Contemporary rabbis perform a vast range of activities under the aegis of their rabbinate, including social justice activism, education, Jewish outreach and chaplaincy. While the use of rabbi as a formal title does not appear until the Mishnah (a first-century compendium of laws and teachings that, together with the Gemara, makes up the Talmud), the first rabbi in Jewish history is often considered to be Moses, who is referred to in the Talmud as Moshe Rabbeinu — Moses, our teacher. At God’s command, Moses ordains Joshua as his successor to lead the Jewish people and render judgments, a process he effects by laying his hands upon him. According to a sequence laid out in the first chapter of Pirkei Avot (which is part of the Mishnah), the line of authority was directly transmitted from Joshua down to successive generations all the way to Hillel and Shammai, two leading sages of the Mishnaic period — thereby establishing a direct link between the rabbis of the Talmud and Moses. Though this chain was disrupted in the wake of the destruction of the ancient temple in the first century of the Common Era, the modern use of the word semichah (literally, “laying of the hands”) for rabbinic ordination implies some kind of continuity between the rabbis of today and the earliest sources of Jewish communal authority. The early form of semichah through direct transmission from one person to the next— sometimes called classical semichah — ended some time in the post-talmudic period. Attempts were made at various points in Jewish history to restore classical semichah, but none garnered sufficient consensus among the rabbis of Israel to succeed. The conferral of the title rabbi today is essentially an agreed convention, asserted by the authority of the ordaining institution and ratified by communal consent. The language of the semichah document conferred by Yeshiva University, the leading Modern Orthodox rabbinical school, makes no claims of lineal authority, but rather — in a manner similar to academic diplomas — attests to a student’s having successfully completed a course of study in particular areas that qualifies them as a decisor of Jewish law. Prior to the establishment of modern rabbinical academies, many people who functioned as Jewish religious authorities and spiritual leaders carried the title rabbi despite lacking formal ordination. According to Ephraim Kanarfogel, a Yeshiva University historian, evidence of formal ordination certificates can be found as early as Spain in the 11th century. Efforts to professionalize and certify rabbinic training later gained traction across Europe, driven both by the influence of European Christian universities that conferred such formal titles on their graduates, as well as the requirements of modern statecraft. Today, the rabbinate is a profession, and rabbis are almost always graduates of recognized rabbinic seminaries, though some do receive so called “private semichah,” the authority of which rests on the rabbi who gives it. The main Jewish denominations in the United States all have rabbinical seminaries associated with them. There are also a number of major ultra-Orthodox rabbinical academies, as well as non-denominational schools that are not affiliated with any of the major movements and whose graduates typically serve non-Orthodox or communal institutions. 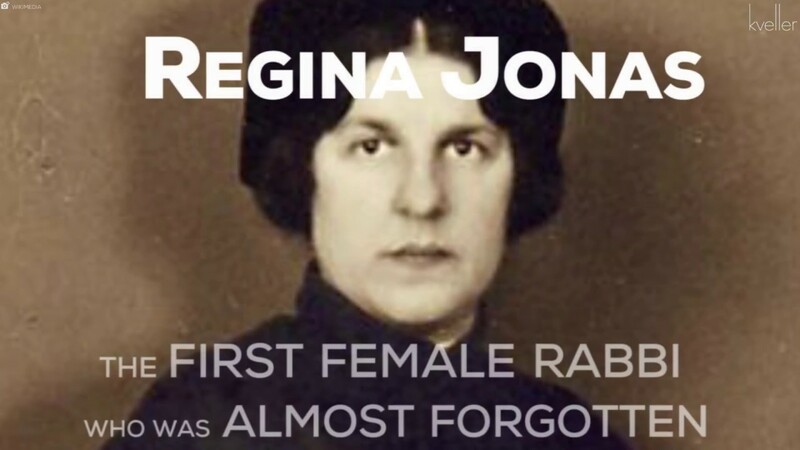 Although the first female rabbi is believed to be Regina Jonas, who was ordained in Germany in 1935 and was murdered in the Holocaust, women rabbis were not regularly ordained until the 1970s. Sally Priesand became the first American woman formally ordained as a rabbi in 1972, when she graduated from the Reform movement’s Hebrew Union College; two years later, Sandy Eisenberg Sasso became the first female Reconstructionist rabbi. The Conservative movement’s Jewish Theological Seminary ordained its first female rabbi in 1985. In the Orthodox world, women rabbis are still prohibited; however expanded religious leadership roles for women have opened up in recent decades. Yeshivat Maharat in New York has significantly pushed the boundary on female spiritual leadership within Orthodoxy, going so far as to take the controversial step of granting semichah to Orthodox women, though the school does not confer the title of rabbi. A similar program was started in Israel by the liberal Orthodox Rabbi Shlomo Riskin. Typically, formal ordination is conferred after the completion of a multi-year course of study, followed by an examination. Successful candidates receive an ordination certificate, sometimes called a Semichah Klaf, which may be written on a scroll of parchment by a scribe and signed by the ordaining rabbis. Contemporary rabbinic training programs have significantly expanded the range of expected competencies beyond mere expertise in Jewish law and texts. Today’s rabbis are expected to be proficient in a range of pastoral and professional skills, including nonprofit management, counseling, public speaking and Jewish communal leadership. The precise mix of training in traditional texts and contemporary rabbinic functions varies from school to school and among the various denominations. Growing numbers of rabbis today are finding employment beyond traditional pulpit positions — as activists, educators, chaplains, outreach professionals and more. The first female rabbi and how she was almost forgotten. Women rabbis in history and in the news. What Is A Cantor (Hazzan or Chazan)? What these singing clergy members do and how they are trained.